I am so excited that the highly anticipated apartment room tour is finally here! I apologize for how long it took for me to get around to this. 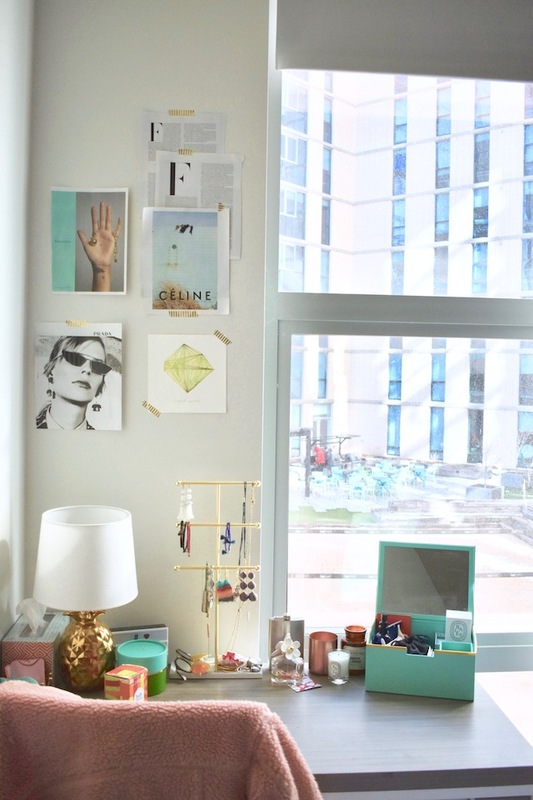 The decorating process just never truly feels complete, even in a college dorm or apartment! After a serious room cleaning and redoing the photo montage above my desk, I finally felt ready to share, and I'm so excited to hear what you think! 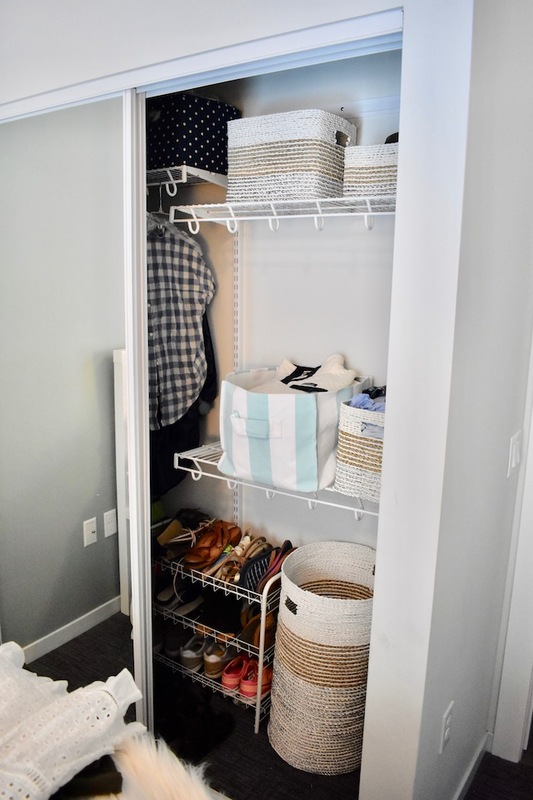 I recently completely reorganized my closet, which turns out to be pretty roomy after adding a few bins and baskets into the situation. 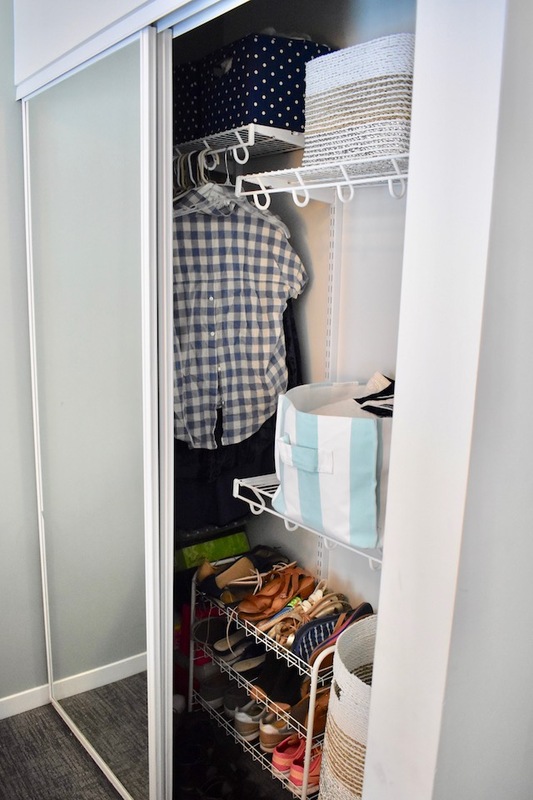 Before, I hid my closet behind the sliding mirrored doors, but now it's so cute and clean that I feel much better about what's inside! PB Dorm was so kind to send me these dotted bins, these striped bins, and this matching hamper to help me organize my closet. 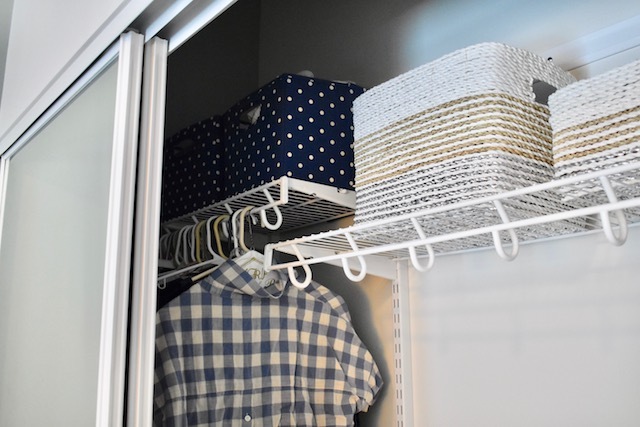 As you can see, I have two of the striped shimmery bins on the top shelf, one with my workout clothes and the other with my baseball caps and random little things like neck scarves and bag straps. On the other side, on the top shelf, I have sweaters in both of the dotted bins. My sweatshirts are in a random striped bin from my dorm last year, and then my pajamas are in the matching shimmery bin to the right! 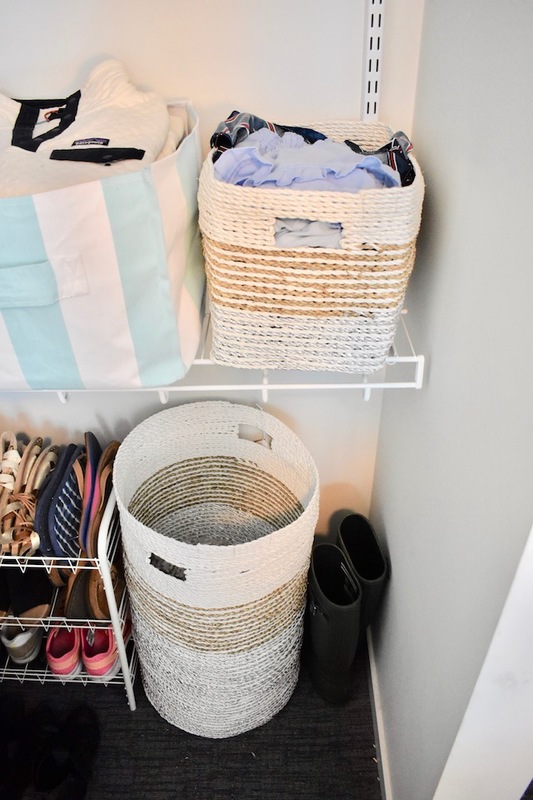 Below, as you can see, I have a shoe rack and my hamper to the right. I like to keep my desk as clutter-free as possible, but sometimes (aka most of the time...) that's not the case. Right now it's managing to stay pretty clean, and I only have my desk "essentials" on top... including a lamp that really helps brighten my space because the natural lighting is not the best in my room! I'm wearing this top from Shein by the way! I love it and it's only $20! My bedding is just plane white ruffles very similar to this option! 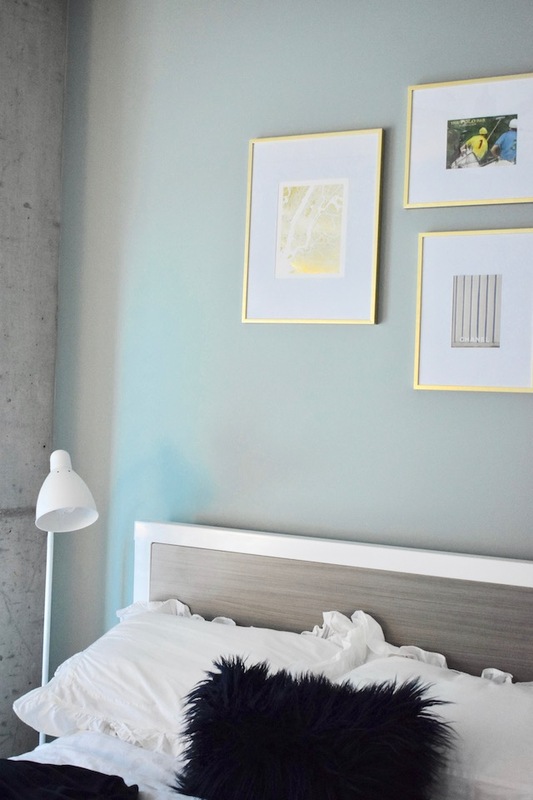 I have always wanted to do a gallery wall in my bedroom at home, but I never could because of the bed frame I have. I was so excited to frame a few things and I love the way it turned out in my bedroom here at school. 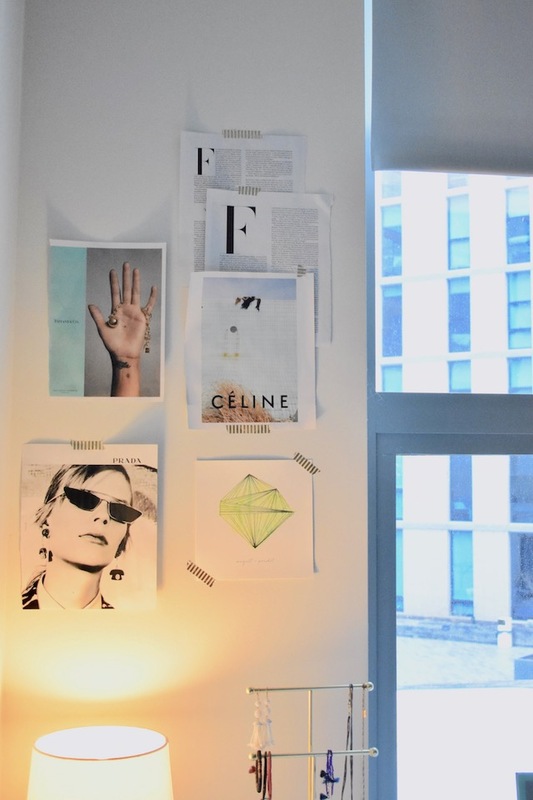 In the frames are a New York foil map, a postcard from the Polo Bar in New York, and a Chanel ad that I tore out of Vogue! As for my floor lamp, here is a similar option, and here is a link to a similar fuzzy pillow. 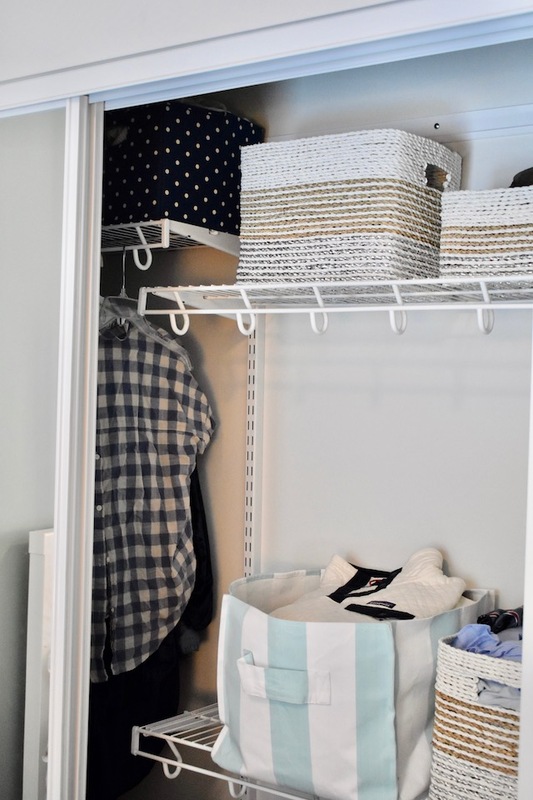 A major thank you to PB Dorm for the closet goodies and for sponsoring this post! All opinions are my own. How do you organize your room in college? 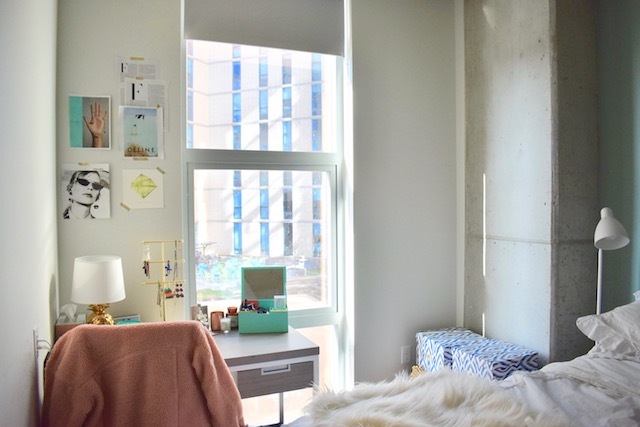 I'd love to see photos of your dorm or apartment for inspiration if you've shared something similar! I love how it turned out! 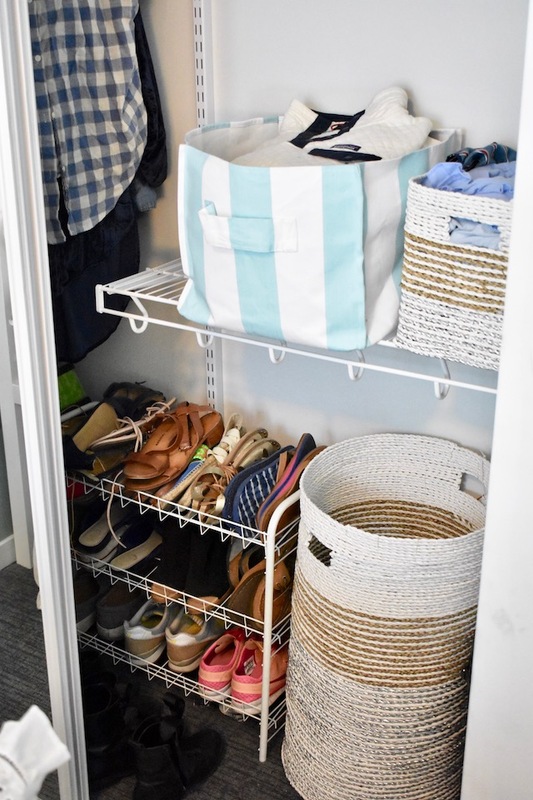 Especially your closet, love those bins! your room looks like a dream, i'm obsessed! !